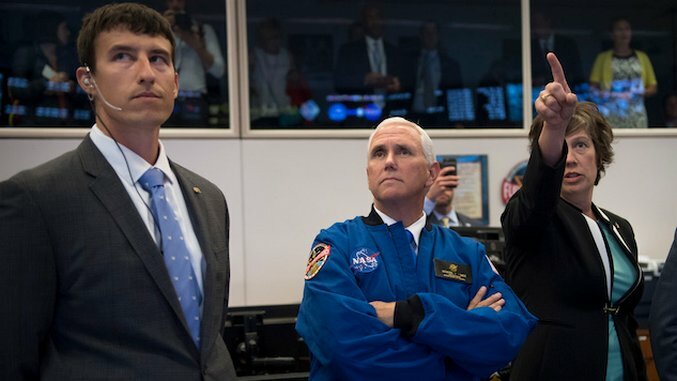 Just a few short days after Mike Pence was named head of the new National Space Council, the man is already shoving his greasy fingers where he shouldn’t. Yep, that’s the guy most in charge of guiding America’s future space endeavors, failing to read the safety instructions on presumably the first NASA equipment he encountered. Color us inspired. Naturally, twitter had something of a field day with our bumbling vice president.